Spanish DJ and producer born in Madrid. He began his career in the world of electronic music influenced by the emerging underground scene in the Spanish capital in the late 1990s and by artists such as The Chemical Brothers, Derrick May, Halo & Hipp-e or Frankie Knuckles. He is characterized by a unique and personal style, where his refined technique, a careful selection of music and his amazing ability to connect with the public are to be highlighted. He creates a full-of-quality, strength and energy atmosphere with his sets that have made him be an awaited guest at national and international reference clubs such as Space Ibiza, Ushuaia Beach Hotel Ibiza, Pacha Ibiza, La Riviera or Pagoa-Oiarzun among others, where he has shared line up with great artist of the stature of Nic Fanciulli, Uner, Reboot, Mathias Kaden, SIS, Cristian Varela, Uto Karem, Coyu, Dosem, Michel Cleis, Sable Sheep, Mendo or Los Suruba. Belonging to the new wave of Spanish producers, his career started in 2012 with his first collaboration together with Del Horno, getting his first reference from the record label ‘Ole Music’. After his first launch, other works would soon arrive thanks to national and international labels such as Push Push Music, Cream Music Records o Swat rec, later signing for labels such as Natura Viva and Tulipe. 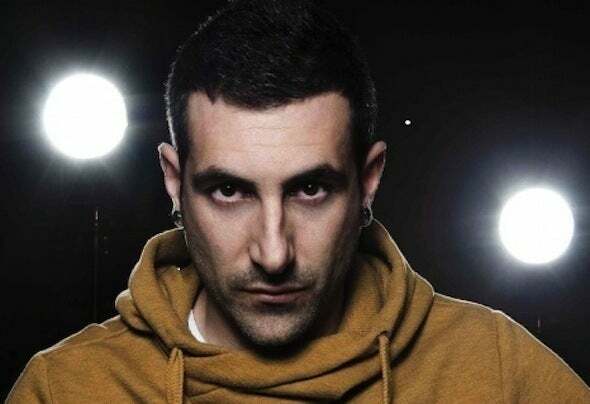 Despite his short career as a producer, he counts on the support of artists such as Elio Riso, Lea Dobricic or David Herrero, and his tracks have been remixed and collaborate with producers like Ivan Pica, Nuno Clam, Vazquez, Alex Sosa, Tini Garcia or Danny B, being this last artist his coworker in numerous collaborations and projects in which they are enlisted together.